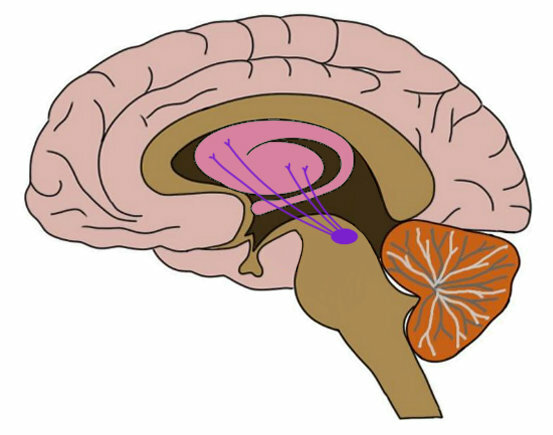 the nigrostriatal pathway is represented by the purple lines in the image above. dopamine pathway that travels from the substantia nigra to the striatum. The nigrostriatal pathway is important to facilitating movement. Watch this 2-Minute Neuroscience video to learn more about the substantia nigra and the nigrostriatal pathway.